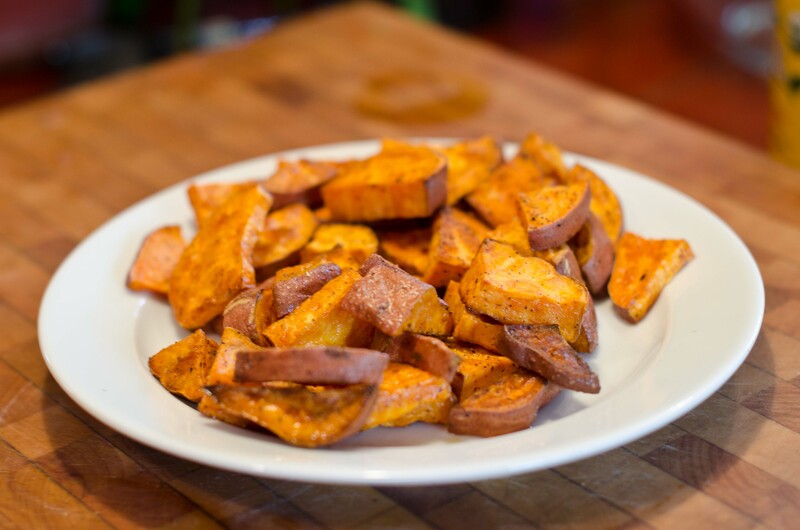 Since sweet potatoes are in season, I have been making them daily for my kids. My 3 year old asks for “orange potatoes” with almost every meal. 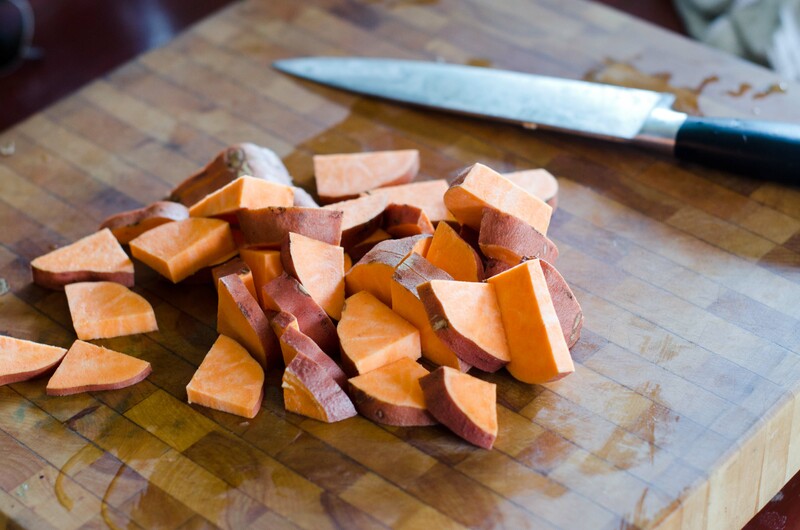 The main 2 ingredients (sweet potatoes and coconut oil) are nutritional powerhouses, which makes me love them even more. 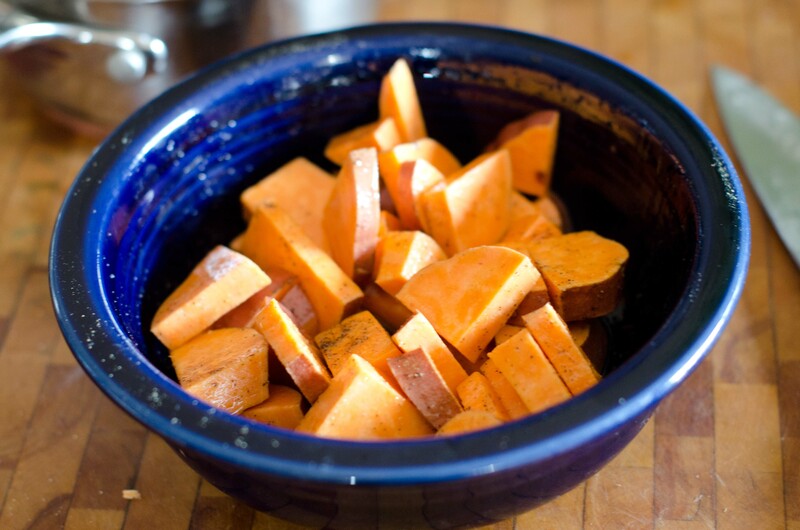 Next, douse sweet potatoes with coconut oil, salt and pepper. Just leave a smidge of coconut oil aside to grease the pan. Spread them out on a baking sheet and place in a 350 degree oven for 25-30 minutes. About half way through give them a flip. 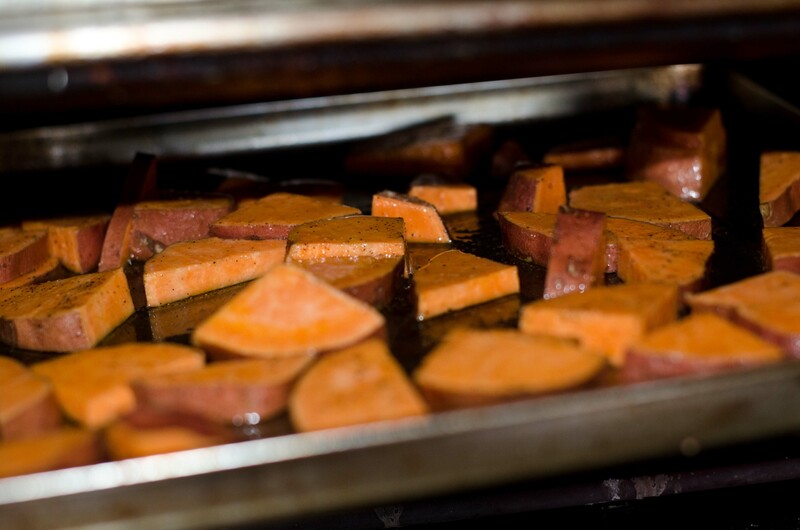 Since I am usually baking just one sweet potato, they fit nicely on a baking sheet in my toaster oven. Keep an eye on them while baking, because every oven is different. Enjoy!